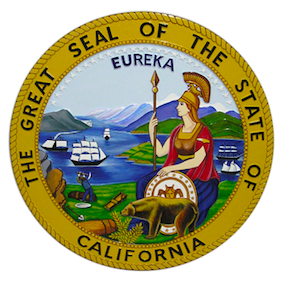 Quiet, behind-the-scenes amendments to Assembly Bill 2863, the latest California online-poker measure, have emerged in advance of the bill’s scheduled hearing this week. The pair of small but important amendments included in the bill, updated as of Wednesday, indicate that the battle by a small but politically-powerful tribal casino faction to block the possible entry of PokerStars into the state’s future online-poker market continues being fought. The two amendments now found within AB 2863, the “compromise” legislation co-sponsored by CA Assemblymen Adam Gray and Reginald Jones-Sawyer, now include language demanding a suitability review with a specific eye toward any market participation in California by any company before online poker is specifically legalized, which of course is yet to happen. 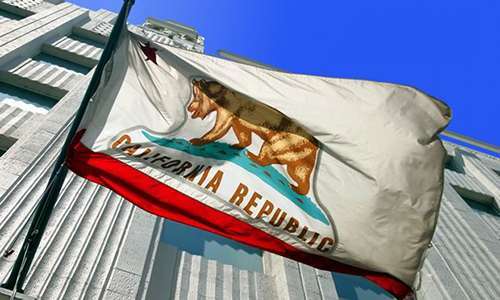 The reasons behind and form of the two amendments help frame the several years of factional fighting that have helped delay all previous online-poker legislation in California from moving forward. The battle being waged by between six and nine “hardline” casino-operating California tribes to limit the state’s future online-poker market has been going on for years. The faction, led by the Pechanga and Agua Caliente tribal nations, really desires ultimate exclusivity for tribal entities over all online-gambling in the state. For a lot of reasons, both legal and political, that’s never going to happen. Yet these tribes have successfully delayed all online-poker legislation from moving to full Assembly or Senate votes — and in their eyes, that’s not necessarily a bad thing: The wealthiest of these tribal casinos make huge profits from their land-based facilities, and some of the still view, incorrectly, any form of online gaming as a potential market threat. And then there’s PokerStars, the international online poker giant. PokerStars offered its services to California residents as an offshore, “grey market” site from 2002 until 2011, when the “Black Friday” indictments forced four of the five largest US-facing sites to leave the US market. PokerStars reached a massive financial settlement with the US Department of Justice while admitting no guilt, and the core activity, offering online poker, was indirectly declared to not be illegal in a late-2012 Wire Act clarification by then US Attorney General Eric Holder. Then there’s the fact that the pre-2011 PokerStars was owned and operated by Rational Group, held in large part by father and son Isai and Mark Scheinberg, the co-founders of the site. Yet the Scheinbergs sold out in 2014 to Canada-based Amaya, Inc., removing much of the energy behind the “bad actor” claims made by opposing but interested online-poker stakeholders in several states, including California. There’s yet another element to the debate: Such “bad actor” exclusions as previously demanded by the hardline tribal coalition may be unconstitutional on both or either the state or federal level. Instead, the compromise legislation first offered by GO Committee chairman Gray and later joined by Jones-Sawyer instead framed the dispute as a general suitability question, to be left to tribal and state regulators. That’s where the compromise matter stood, except now the Pechanga-led faction has forced the specific reintroduction of the grey-market participation by PokerStars before 2011. The amendments aren’t a specific ban, but the Pechangas and their partners intend to force that specific question before the state’s gaming regulators. Previousy, the now-Amaya-owned PokerStars and their California casino and card-room partners had issued a letter of support for the introduction in February of Gray’s and Jones-Sawyer’s AB 2863. Yet, as recently published by OPR, the Pechanga opposition has never wavered, as that group sent its own letter demanding the changes to the bill. In other words, the dispute continues. This week’s hearing seems unlikely to break specific new ground on its own, even though it’s the precursor to a likely vote on AB 2863. Yet even though the bill will probably clear the GO Committee, there are several future points where organize opposition could bog down the process. The proverbial 8-ball remains murky, with a solution still somewhere down the road.